Everything you need to know about scaling the final Open WOD of 2018. 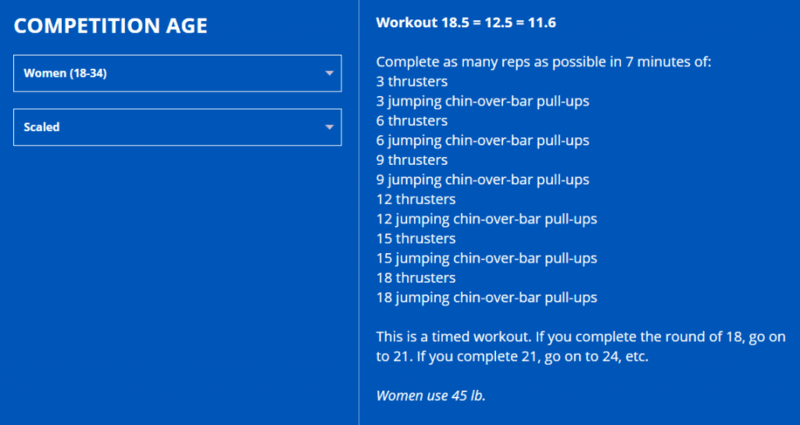 Dave Castro presented 3 potential workouts for CrossFit Open Workout 18.5 and the winner was a repeat of 11.6 – here is what you need to know if you are scaling the WOD. The athlete’s score will be the total number of repetitionscompleted before the time cap expires. kg (65 lb. ), 20 kg (45 lb.) and 15 kg (35 lb. ).